BlackRock’s investment operations platform Aladdin is set for a major expansion after the global asset manager confirmed it will buy Paris-based alternative risk analytics provider eFront for $1.3 billion in cash. In a statement, BlackRock said that it will combine the eFront platform with its flagship Aladdin platform, which is currently used by more than 225 financial institutions globally, to “set a new standard” in investment and risk management technology. eFront’s platform provides technology for the alternative investment lifecycle, including due diligence and portfolio planning, performance and risk analytics across various alternative asset classes. eFront will expand Aladdin’s end-to-end processing in alternative asset classes, for clients to gain a holistic view of their portfolio, BlackRock said. “eFront vastly expands Aladdin’s alternatives capabilities and further distinguishes it as the most comprehensive investment operating platform in the world,” said Rob Goldstein, chief operating officer of BlackRock. BlackRock will buy 100% of the equity interests in eFront for $1.3 billion from private equity firm Bridgepoint and eFront employees. Closing of the transaction is also subject to various conditions. 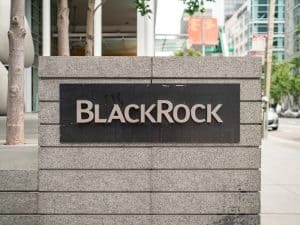 “Technology and illiquid alternatives are two pillars of BlackRock’s growth, and this transaction provides a unique opportunity to accelerate our positioning in both,” Laurence Fink, chairman and CEO of BlackRock, added. “We’re particularly excited about eFront’s global footprint, including its headquarters in Paris, which is a key market on the continent for BlackRock. The post BlackRock eyes Aladdin expansion with $1.3 billion eFront acquisition appeared first on The TRADE.